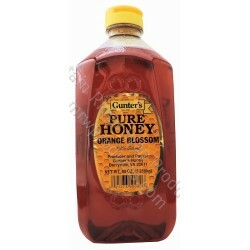 Gunter's Orange Blossom honey has a light color with a citrus taste and a fresh scent. A wonderful honey for tea. Stir in your fruit salad and let macerate creating a delicious syrup. Use it in cooking and great for salad dressings.